I was reading a really interesting article in The Guardian this morning about workplace productivity and why people waste too much time in the office. I think there’s a simple answer to that – because they can! The one thing about running your own business that make my heart sing is the fact that I’m doing what I want to do. 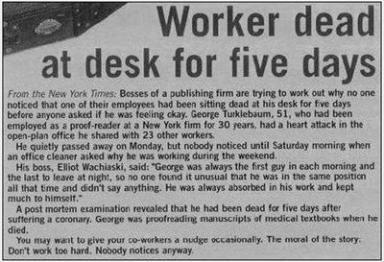 That makes me highly motivated to ensure that my workplace productivity stays high and that I get results. My time – like your time – is valuable, so I don’t squander it. 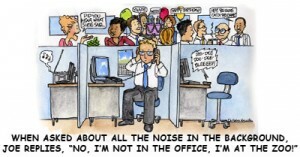 In large offices or other workplaces your time is paid for by someone else, so you really aren’t so bothered. It does strike me that if employees were more invested in workplaces – such as co-ops etc., workplace productivity would remain high. In small businesses, the level of engagement between employees and employers/owners/managers tends to be quite good in my experience – but it’s probably true for any business, the more one cares about a business and the people who run it, the more likely you are to want to see it succeed. In The Guardian article, Peter Fleming, professor of Business and Society at Cass Business School at City University London explains how much of the work day is ‘increasingly padded out with less productive activities,’ so much so that when a few years ago a disturbing story appeared in the media announcing: “Man Dies at Office Desk – Nobody Notices for Five Days” many people accepted the story as true. That’s how productive people think their colleagues are! Work in the corporate world seems to have become increasingly mundane, pedestrian and unproductive. I don’t envy these workers at all. According to Fleming, statistics reveal that the average British worker spends 36 days a year answering work emails and that workers in London receive close to 9,000 emails each year. He highlights a recent survey that revealed that 80% of employers consider it perfectly acceptable to contact their employees outside business hours. Someone close to me has experience of this. Her boss sent her emails in the early hours of the morning, cc’ing them to a higher boss. 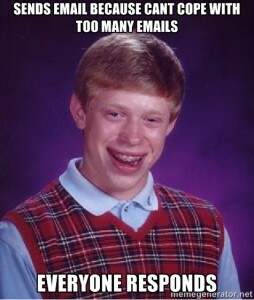 We decided this was just the boss’s way of saying “look at me, how dedicated and hardworking I am,” but while my friend initially laughed at the situation, she became increasingly stressed about it because the emails all meant more work for her – and this was all being dreamed up at 2 or 3 in the morning. Instead of pushing pieces of paper around, there is a section of the employed who simply write and respond to emails all day. 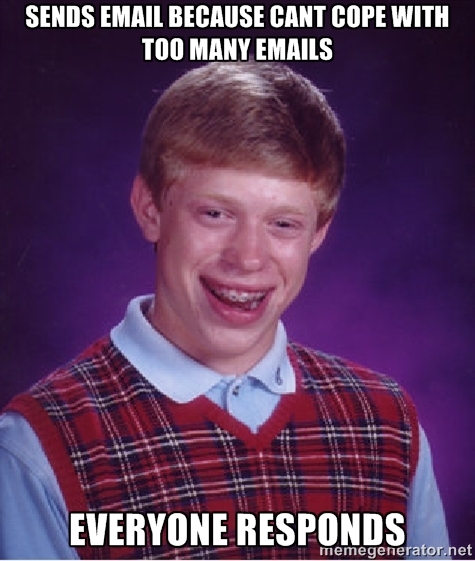 I know of someone else who used to get emails from someone in the same office. Quite ridiculous. Add to all of this wasted time the long commute that many British workers face and you can see why so many people are bored and burned out. Apparently British workers waste 18 months of their lives commuting, which is expensive and stressful. Either you’re on constant alert for new messages or you never manage to properly empty your inbox. You can’t get anything done because the phone is constantly ringing. Worse still you may have to answer someone else’s phone while they’re away from their desk. Sometimes you can’t so much about this but certainly if you are too cold or too hot you will be uncomfortable. Lighting in your workspace is actually a health and safety concern – too much glare can lead to headaches and tired eyes which will cause you to stop working for rests too frequently, affecting your workplace productivity. 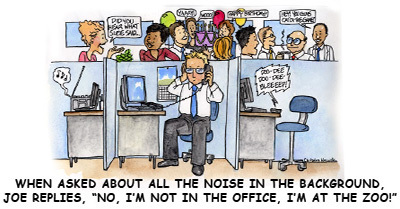 If you are working in a pressured occupation, the chances are that everyone else’s behaviour will rub off on you. 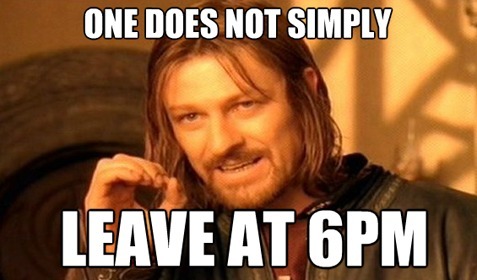 You may find yourself getting into work earlier and earlier, and leaving later and later. You may answer emails at home – even in the wee hours (see above and don’t do it!). This is for you to reconsider. Your health is important and in spite of people being sat at their desk for 50+ hours per week you cannot really measure their productivity from their mere presence. Work smarter not harder, get your work done and have a life. If your organisation merits bums on seats over actual results and performance, you’re in the wrong place. Maybe it’s you. Maybe you’re bored and you struggle to stay focused. If it is you then it’s either time to get a new job or to work harder on your focus so that you can increase your work productivity. Next week we’ll have a look at that.